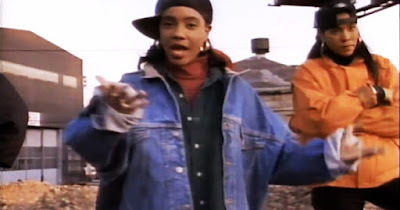 MC Lyte first gained prominence as a rapper in the 1980's with the release of her album, Lyte as a Rock, in 1988. She was born on October 11, 1970, in Brooklyn, NY, and at the age of twelve she began rhyming and creating her own style of music. Her first single was “I Cram To understand U,” which led to her signing a contract with First Priority. She has always been an original voice, speaking out on the issues of the day. #1. She was a pioneer in the field of rap and was the first woman to release a full-length rap album. #2. She took on the hard issues of the day, performing songs about the sexism and misogyny prevalent in the hip-hop industry. #3. She has achieved much success and acclaim in the recording industry, with hit singles, a Grammy nomination and the first gold single by a female rapper. #4. She has inspired other artists such as Queen Latifah and Missy Elliott. #5. MC Lyte has grown as an artist, moving from rap to more soul-based productions. #6. She has branched out in acting, appearing in TV shows and movies. #7. As an activist, she has supported causes such as AIDS benefits, Rock the Vote and anti-violence campaigns. #8. In 2013, she received a Lifetime Achievement Award at that year’s Hip Hop Inaugural Ball. #9. She is the founder of the Hip Hop Sisters Foundation, a non-profit charity that promotes positive images of women of ethnic diversity.